People with autism approach and deal with social interactions much differently than other people, and often struggle with relationships and social life. Autistic people process information in unusual ways but are often very high functioning in other areas. Characterizing the specific details of the social difficulties of autistic individuals has been a challenge for the medical community. But neuroscientists at the California Institute of Technology (Caltech) may have pinpointed some important details in how people with autism process their thoughts, especially in relation to other people. The Caltech researchers isolated one very specific difference in autistic people's relations with others: that they don't tend to consider what others think about them at all. Researchers call this our "theory of mind" abilities - our intuitive skills for figuring out what other people think, believe and intend. This is an important ability in social interaction, and most normally functioning people have a high interest and skill level in figuring out what others think about them. In other words, identifying their own social reputation. The Caltech team used this theory of mind effect to observe how it works among people with autism. They asked people to make a real money donation to UNICEF, under two different conditions. First, the participants were asked for the donation while alone in a room, and then they were asked while being observed by a researcher. For most people, the element of being watched improves altruism and many behaviors - a phenomenon that the study author's say was replicated in this research among the participants without autism. 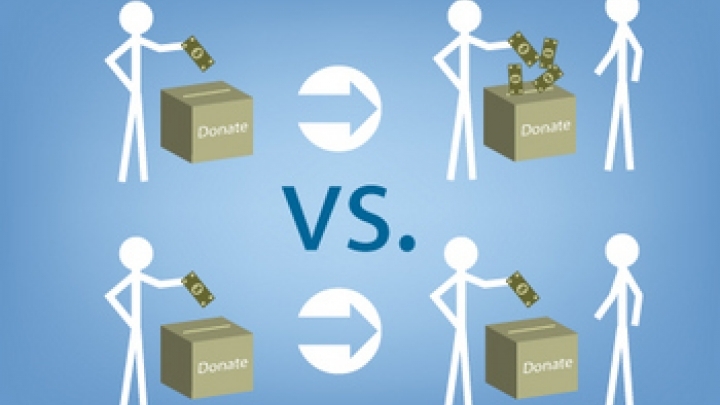 People donated more when they were being watched by another person - the researcher - presumably to improve their social reputation. But something interesting happened with the autistic participants. They gave the same amount of money whether they were being watched or not. Keise Izuma, first author of the study, called the effect "extremely clear." This suggested to the research team that individuals with autism do not think about, or care, what others think of them. It is perhaps simply not a part of their social reasoning and thought process. However, the team also wanted to make sure that the autistic participants did in fact register the presence of the onlooker; that it was a lack of concern over their social reputation that guided their actions, and not just ignoring or not noticing the onlooker. To do this, researchers conducted a second control test. In this test, the participants were given simple math tasks to solve, again both alone and with an observer watching them. All of the participants, both those with autism and without, performed the math problems better when they had an onlooker than when they were alone. Ralph Adolphs, a Caltech professor and principal investigator on the paper, said the check was important. "It showed us that in people with autism, the presence of another person is indeed registered, and can have general arousal effects. It tells us that what is missing is the specific step of thinking about what another person thinks about us. This is something most of us do all the time - sometimes obsessively so - but seems to be completely lacking in individuals with autism." The findings, which were published in October 2011 in the Proceedings of the National Academy of Sciences, provide a much more accurate picture of how autistic people process social information. The study is important for autism diagnoses and therapies, as well as general education about the disorder. Photo courtesy of Caltech/Lance Hayashida.